After another very warm day of checking out this region I now sit here enjoying the lightning show Nature is putting on for us. Luckily the flashes are off in the distance so I am safe and can just enjoy the sight. One of these days I will set up my tripod and wait to capture the lightning flashes, but for now I will just enjoy it. OK here comes the wind whipping up around me and things are flying everywhere, best I position myself in a more sheltered spot to write the rest of my blog. We had a bit of a warm one today, I think it got to around 37c and the humidity was very high as well. I am finding I can handle the heat better than I used to be able to but the humidity just drains me so much. Not having air-conditioning in Myrtle we thought the best idea was to go for a drive and let the car air-con keep us cool. 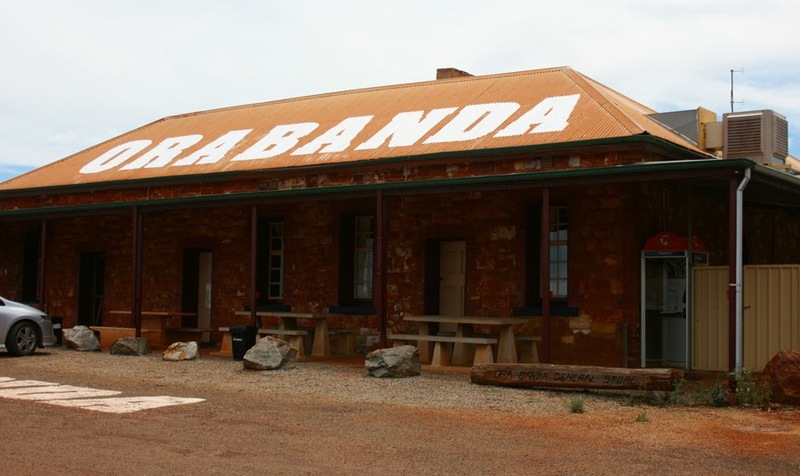 So today we tackled getting out along the dirt road to the historic pub "Ora Banda Tavern". Seeing we haven't had rain for a couple of days we were pretty confident the muddy road from last week would be all dried out, which it was. Once again this tavern was once a part of a thriving community which has now long gone. This ghost town and tavern hit the headlines in 2000 when Gypsy Joker, Bill Grierson, was fatally shot while sitting at a camp fire on the old town site. Former CIB (Criminal Investigation Bureau) chief and Ora Banda hotel owner Don Hancock was suspected of the shooting and his properties, which included the tavern were later fire-bombed. Hancock was later killed in a car bombing in 2001 in Perth in a revenge attach by a member of the Gypsy Jokers. 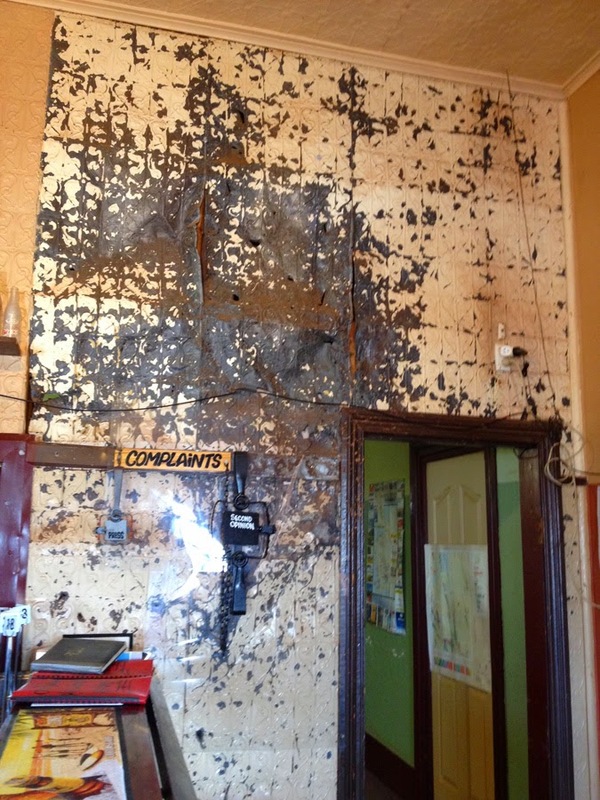 In the bar the wall has been left showing the damage done by the bombing. 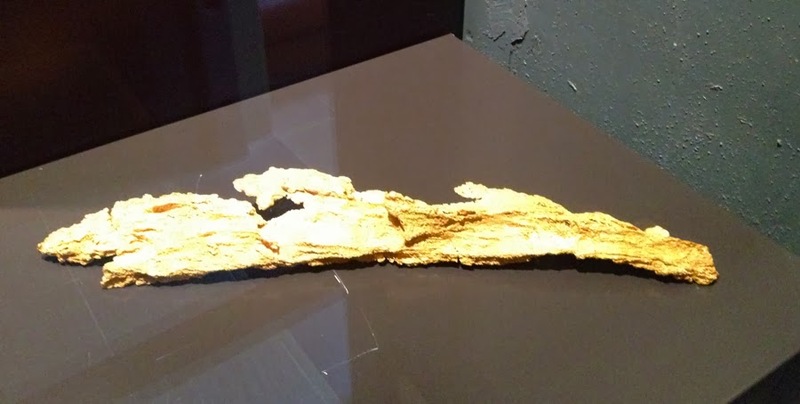 Once back in Kalgoorlie we decided to go check out the Kalgoorlie Museum. It was a lot better than I thought it would be and yes there was air-conditioning!!! There were several different areas, the first being a moving exhibition of the role Australia played in Timor in the Second World War. Once again I have learnt something I never knew about. 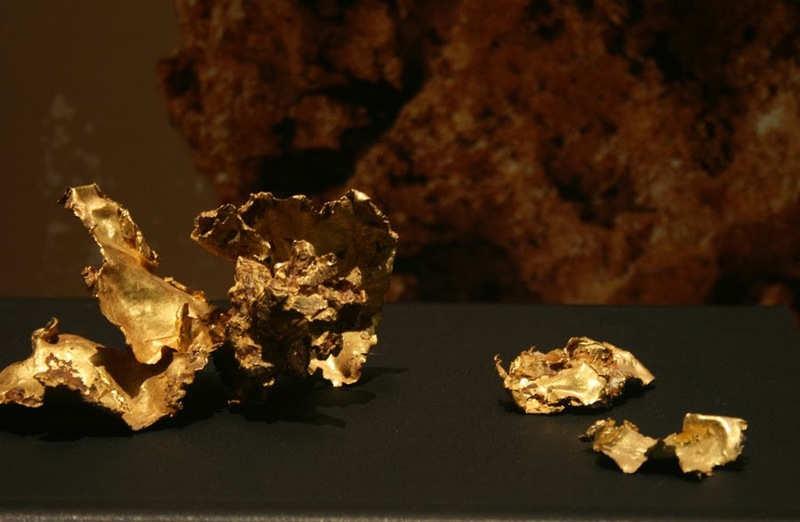 Next it was down into the basement to The Vault, yes it is a real vault filled with various pieces of gold valued in the tens of thousands. Pretty amazing collection I must say. 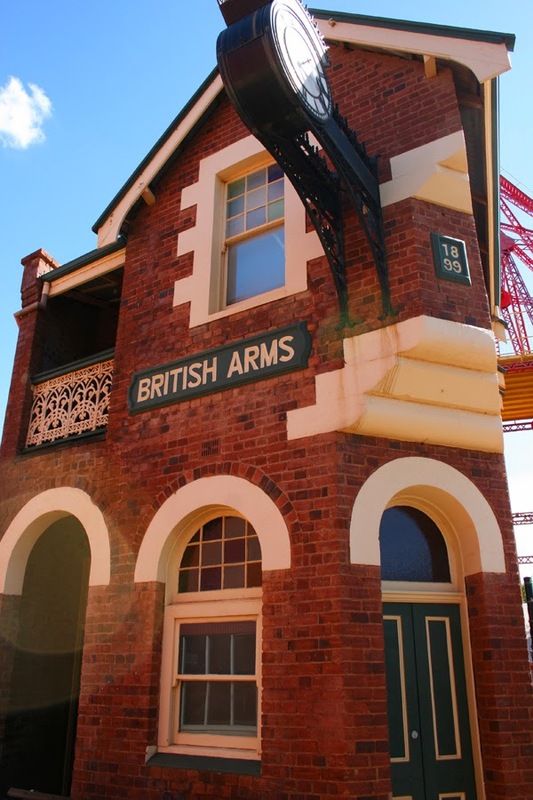 Part of the complex is the the heritage listed hotel The British Arms which is believed to be the narrowest pub in the Southern Hemisphere. British Arms Hotel..... it is pretty skinny!! After our little expedition we decided to head to a couple of the historic local pubs down the road from where we are staying to have a quiet drink and yes, enjoy the air-conditioning!!! 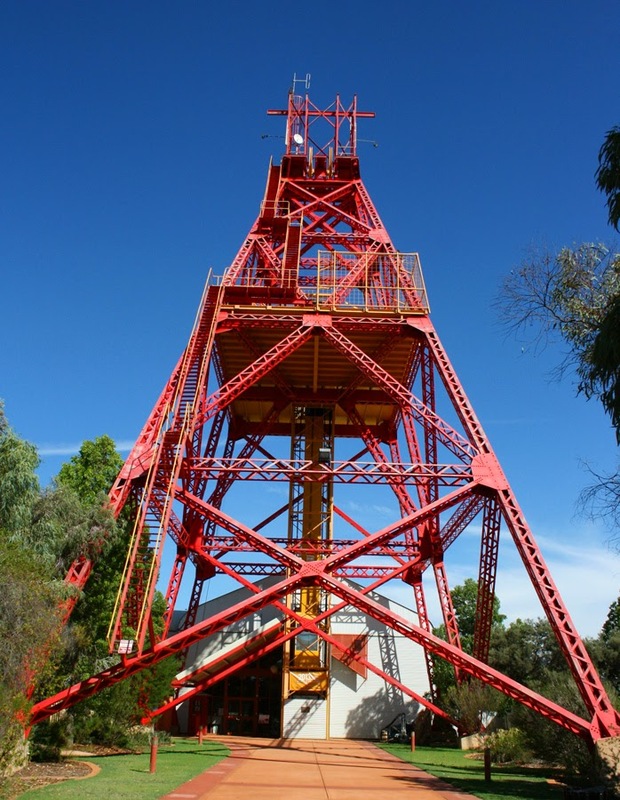 Ivanhoe Headframe, also known as the Patterson. Headframes are structural frames above an underground mine shaft. 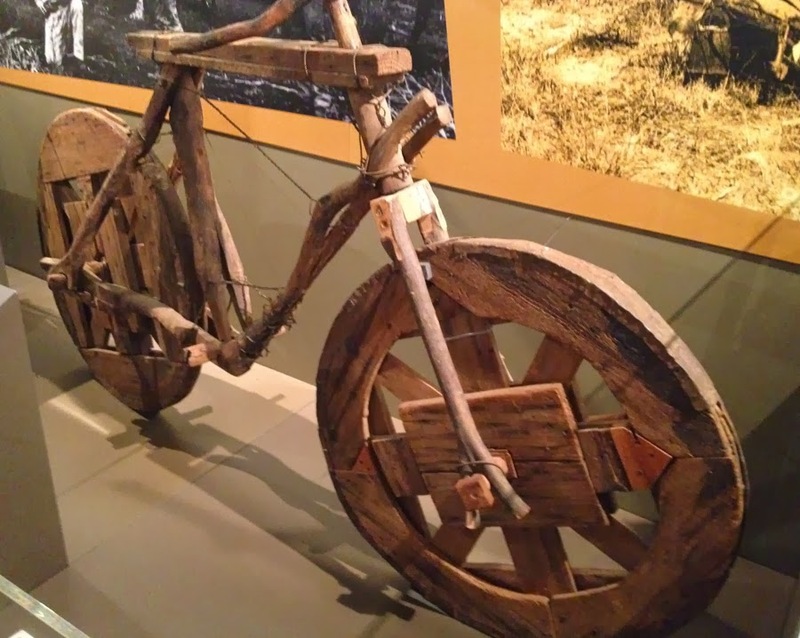 An old wooden bike from days gone by. Imagine the Tour de France on this!! !